Are your normal running routes getting boring? Or maybe you're just getting started and need some ideas of where to run, walk, or do whatever moves you. These are some our favorite locations in and around Tuscaloosa to stay active. 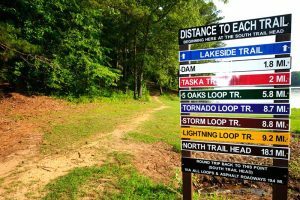 With approximately 11 miles of trails (+2 miles of roads) ranging from easy to intermediate, these trails are great for running, walking, or mountain biking. The Wagner's Weekly Trail Run meets here at 5:30 PM on Tuesdays and various mountain bike groups meet through the week as well. The entrance is located off of Union Chapel road, across from Ol' Colony Golf Course. 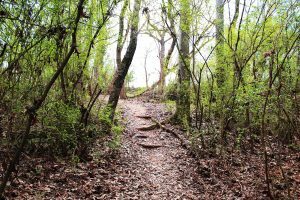 A well known spot on the Black Warrior river with about 2 miles of trails or a 4.75 mile out and back loop around the amphitheater. Parking is available at both Manderson Landing and downtown with multiple parking lots along the path. Part of the original unpaved path still runs from the Eastern end of the trail to the US 82 bridge. All three adjacent to one another, these three locations contain a total of 19 miles of running paths. The VA Hospital has a 2 mile paved walking trail around its perimeter. Parking is available at the McAbee Activity Center off of Loop Road.